Poker bankroll management is a boring but important part of your overall poker strategy. Your bankroll management should be designed to minimize the effect luck has on your overall success. 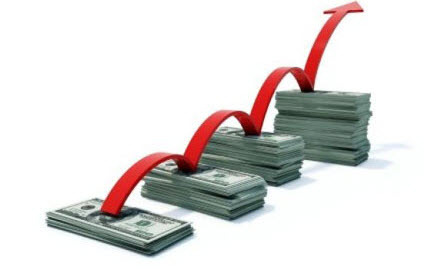 Your bankroll management will tell you when it is time to increase or decrease the stakes you are playing with. When you go over x it is time to go up and if you go back down under y it is time to go down again. If you want to withdraw money from your poker account you will need to include that in your bankroll management strategy. The design of your bankroll strategy will decide how quickly you can increase your bankroll and how much risk you expose yourself to. The quicker you allow yourself to increase your stakes the smaller margins you will leave yourself and the higher risk you will be exposed to. A bankroll strategy is usually defined by how many big blinds or buy ins you have in the account based on the stakes you are currently playing. I think big blinds is a better measurements because there are room for confusion when using buy ins as a definer. Are we talking maximum buying, short stack buy ins, your personal preferred buy in etc. Some sources will tell you that this doesn’t matter as long as you always make the same buy in. I strongly disagree with this. Your opponents might still buy in for different amounts and the amount of money your opponents have at the table will have a very real affect on your game. It is according to me better to use an exact defined term such as big blinds as the base for your strategy. Different poker sites will recommend different bankroll strategies. Some strategies are more aggressive while others are more conservative. I am a strong believer in “slow and steady wins the race” and advocate a conservative strategy that minimize the effect luck has on your game. This way it takes a little longer to reach a higher level but you have a higher chance of staying there once you get there. You also have a much lower risk of loosing your entire bankroll while having a cold streak. This strategy is based on regular tables with a maximum buy in of 100 BB. If your poker room offer deep stack tables then they can be a better choice and you can choose to adjust your strategy accordingly. Although that is usually not necessary. A solid player will reduce his risks by playing at a deep stack table compared to a regular table. I recommend that you start playing at a level where your bankroll contains enough money to buy 3000 big blind (30 max buy ins). This minimizes the affect of cold streaks over time. You should change your stakes as your bank roll grows or shrinks. I recommend going down one level if you bankroll goes down to 2000 BB and go up one level if it goes up to 6 000 BB. If you prefer a more aggressive bankroll management then I recommend that you start with 2000 BB. Go up if you get to 3000 and down if you go down to 1000. You will have to design your own strategy that works well for you and the risk profile you want to keep. We highly recommend Go Casino. One of the best casinos on the web.